Ohm’s law relates four basic electrical quantities. Let’s understand their units. All these quantities are linked together in Ohm’s law formulas. V = IR & P = VI are the basic quantities which relate them. The statement P = VI is actually Joule’s law. 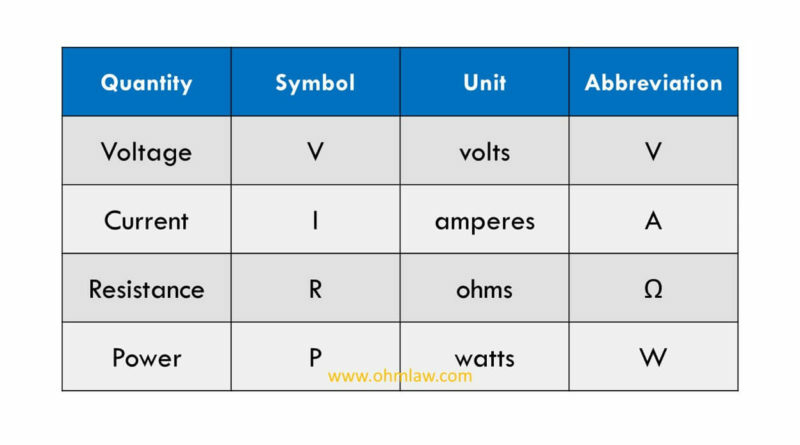 Ohm’s law: Learn the basic Ohm’s law, its theory and detail of all quantities which are presented here. Statement: 12 different statements which are helpful to develop a crystal clear concept. Lab report: The brief lab report with steps, diagrams, and tables.